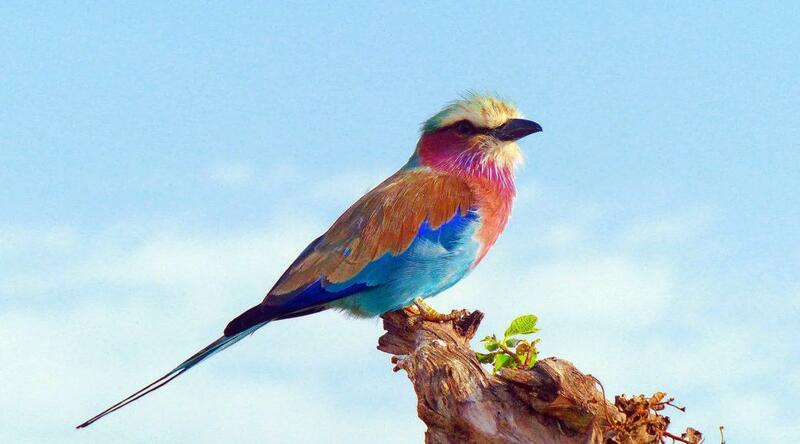 Kenya, with its wide diversity of habitats, is considered one of Africa’s must-visit birding destinations. Birding enthusiasts, whether on a self-drive or fly-in safari, would do well to come armed with 50 Top Birding Sites in Kenya. 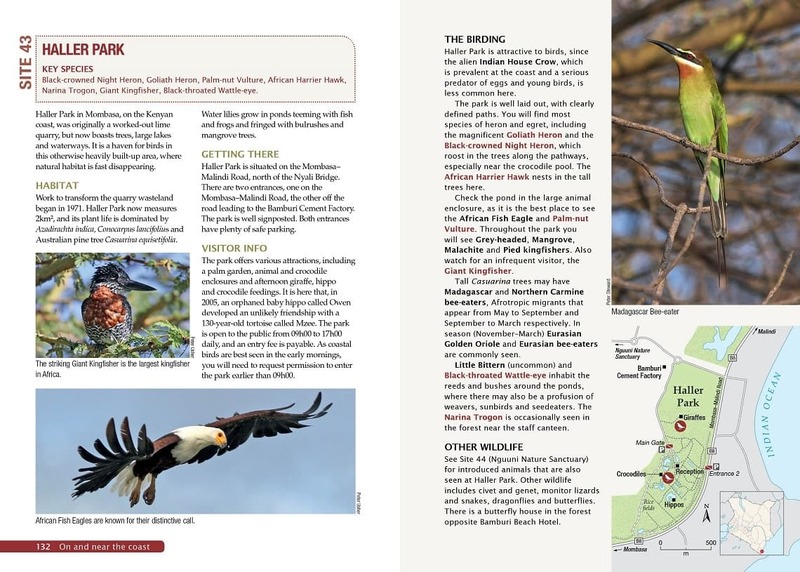 It is the first detailed guide to the country’s best birding areas and offers a detailed map for each site. Even better, specific guidance on what to look for and where. Our approach to the Masai Mara from Lolgorien was a long way round on a marshy road. The short rains in Kenya had turned the black cotton soil in the west of the Mara into expanses of waterlogged sludge, dotted with grassy seasonal pools. Heading for the Oloololo Gate, driving proved easier across the meadows of the unfenced countryside. Our most exciting sightings on the tracks leading to the reserve were of tiny Coqui francolin and red-necked spurfowl. If we had been armed with this handy little book, we could have looked for key species that are indicated at the beginning of each site reference. A special tick of the woodlands of the escarpment could have been the spectacular and enigmatic Ross’s turaco – if only we’d known! Once we had entered the Mara, on the descent to the Musiara swamp, we left behind boulders that are home to rock-loving cisticola. 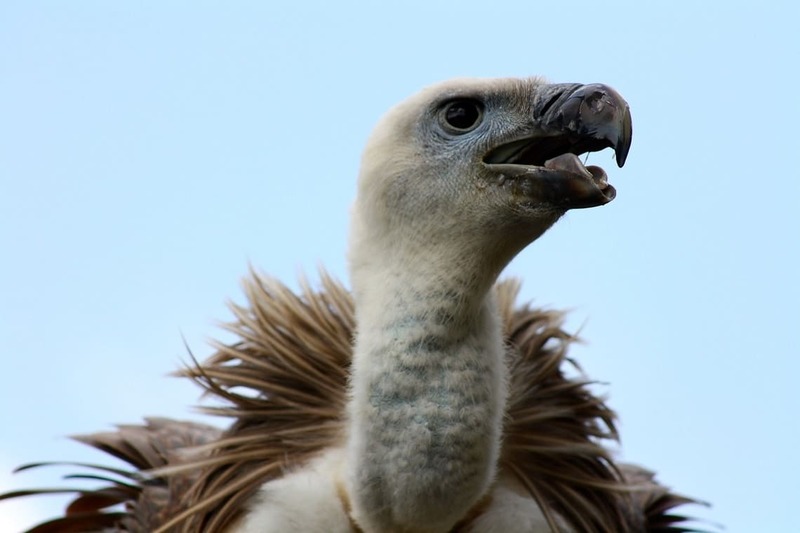 On the plains, we were welcomed by a committee of critically endangered white-backed vultures atop a balanites tree. The savannah grasslands are as rich in birdlife as they are in mammals, with over 550 species recorded. The eastern Mara, which receives less rain, enjoys regular sightings of several species uncommon to the region, such as bare-faced go-away bird (we lucked out). 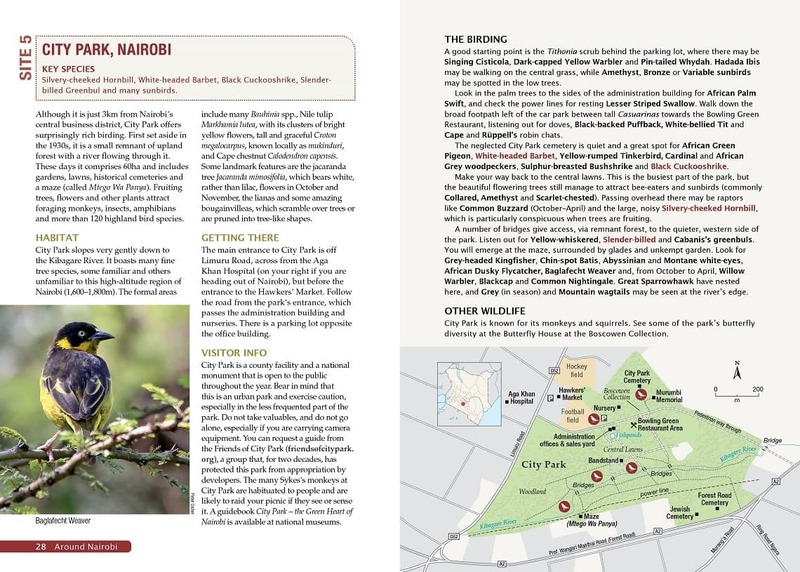 Catherine Ngarachu, the founding editor of Kenya Birding, has put together an absolute gem. Her book describes why each of the chosen 50 sites is a birding hotspot. She outlines the physical features of the site as well as the predominant vegetation, factors that influence the bird species that frequent the area. 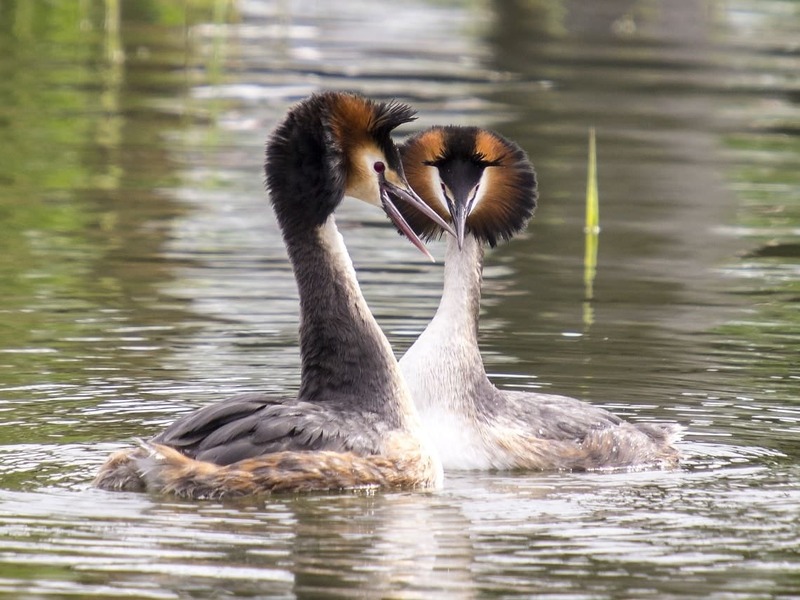 At Lake Naivasha, a shallow freshwater lake on the floor of the Rift Valley about 80km from Nairobi, we ticked great crested grebe, not even aware that it was East Africa’s most endangered water bird. In the semi-arid desert area in north-central Kenya, in Samburu National Reserve, we found the gardens of the lodges and camps very productive for birding, as Catherine accurately points out, and sightings of spotted palm thrush (a special tick) are common. Come dusk by the riverside campsite, we should have tuned in to the “siren-like call” of slender-tailed nightjar. Now knowing what I missed out, I am inspired to return to Kenya, a better prepared birder. 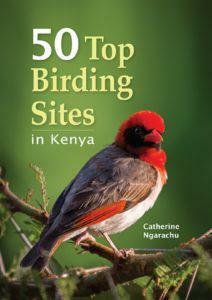 We are giving away three copies of 50 Top Birding Sites in Kenya courtesy of Struik Nature. Email the answer to the question below to competition@tracks4africa.co.za (subject line: Kenya birding) to stand a chance to win. Remember to include your full names, postal address and contact details. The competition closes on 22 October 2017. 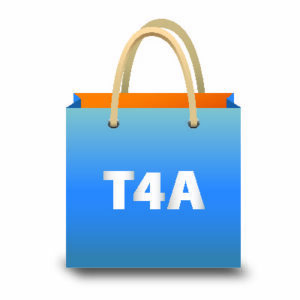 T4A will randomly select the winners, and winners will be notified via email. Question: Who is the author of 50 Top Birding Sites in Kenya? 50 Top Birding Sites in Kenya by Catherine Ngarachu. Penguin Random House. 2017. R180. Previous PostFive reasons to visit the Richtersveld Transfrontier ParkNext PostWhich overlanding mattress is right for you?